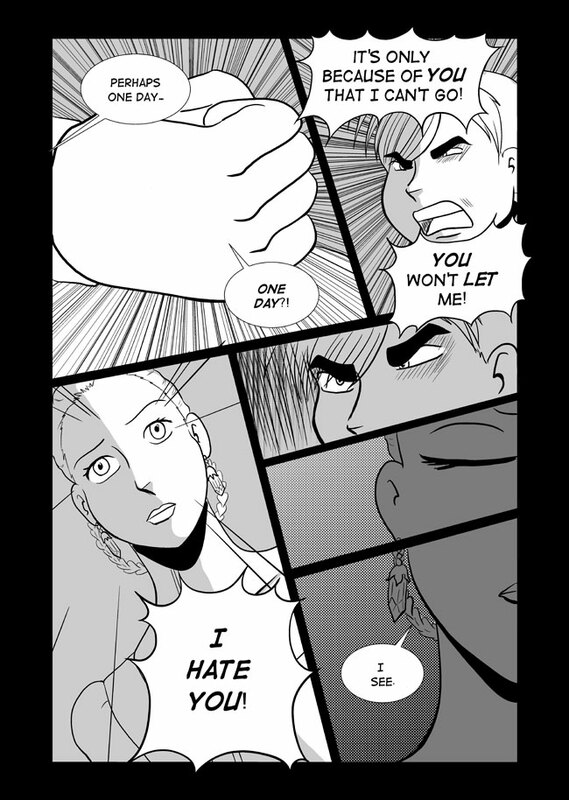 I hope I did a good job with the drama in this page. There’s a lot of intense feelings from both of them, and it was tricky to do. This weekend is Balticon and not only will I have a table with (hopefully) books of the first graphic novel of LaSalle’s Legacy, but I am also speaking on a few panels! Unfortunately, the Panel workshop list is not up on the website, so I’ll list the ones I’m participating in. If you can make it to any of them, please come! If not, then wish me luck! I tend to get a bit nervous about public speaking and this is my first time actually being on panels. That’s awesome about the panels! Good luck!